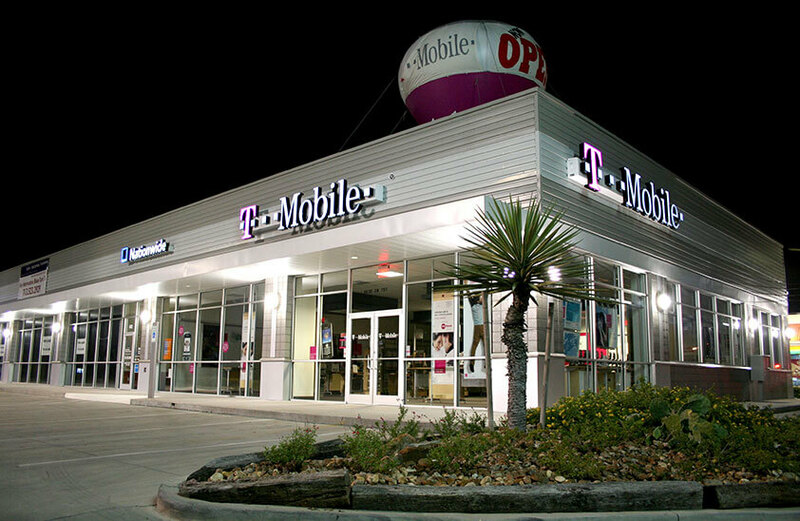 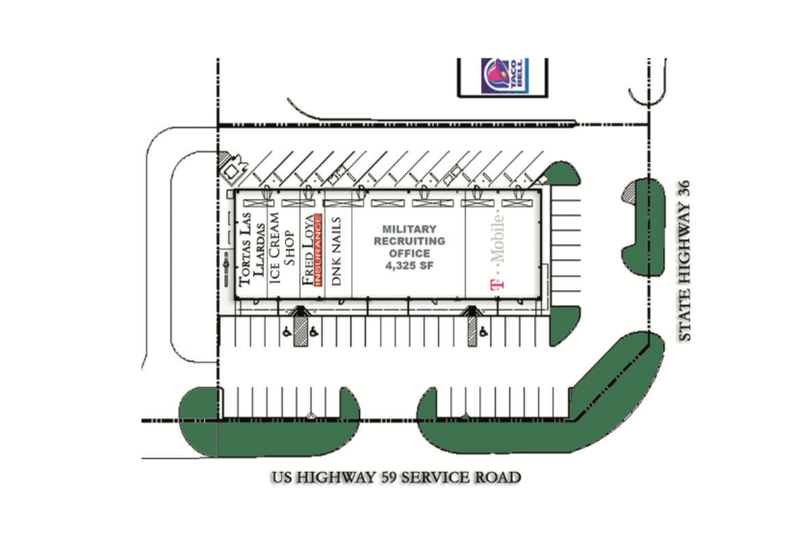 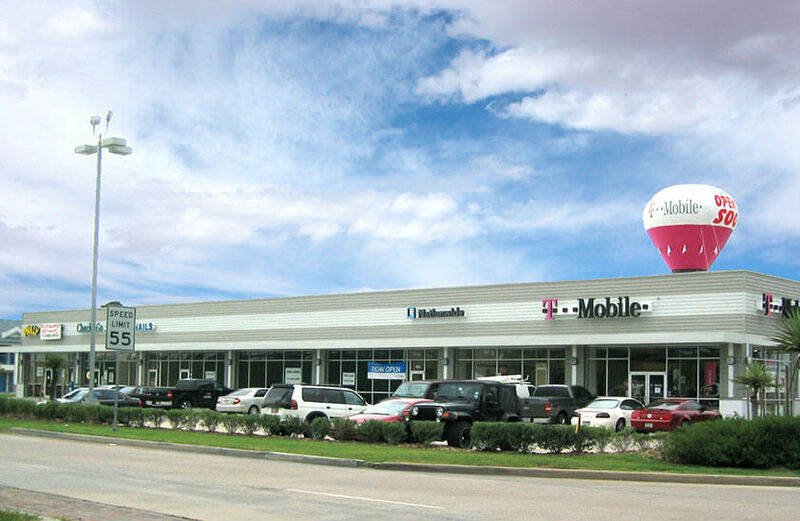 This 12,000 square foot neighborhood retail center is located at the main entrance point of Rosenberg, Texas, on the Northeast corner of Highway 59 and Highway 36, approximately 30 minutes Southwest of Downtown Houston. 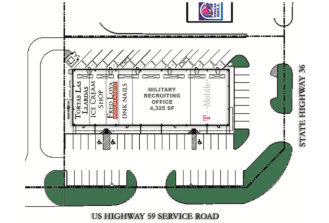 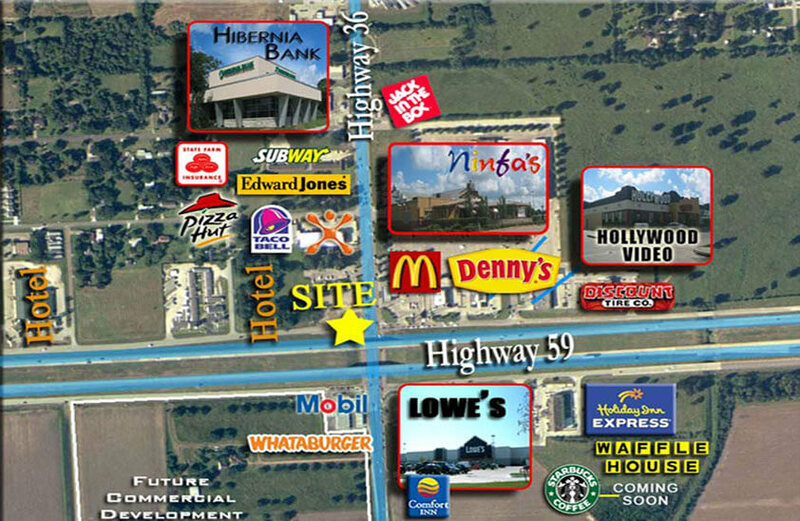 Lowe’s anchors the opposite corner, and the other major commercial developments are to follow at the intersection. 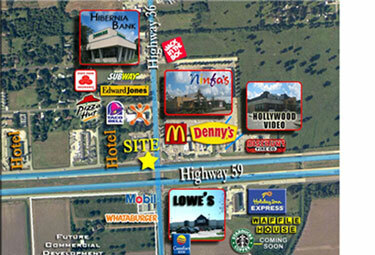 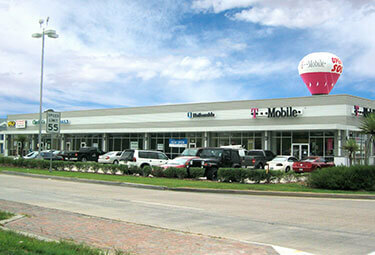 Area developers have scheduled more than 16,000 additional lots in the Richmond/Rosenberg area for future home development as Rosenberg continues to experience explosive growth, being situated on the hard corner of these two highways makes it the ideal location choice for retailers seeking to expand in the Rosenberg market.